Natalia Buitron 's work is concerned theoretically with the relationship between personhood and politico-ritual transformation at the state's periphery. Her current research is part of a collaborative research project entitled Justice, Morality and the State. 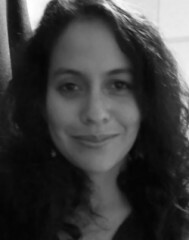 In her thesis and a series of articles, she analyses the tensions between upholding egalitarianism and pursuing autonomy through a strategy of political centralisation and the appropriation of the local state in contemporary Amazonia.